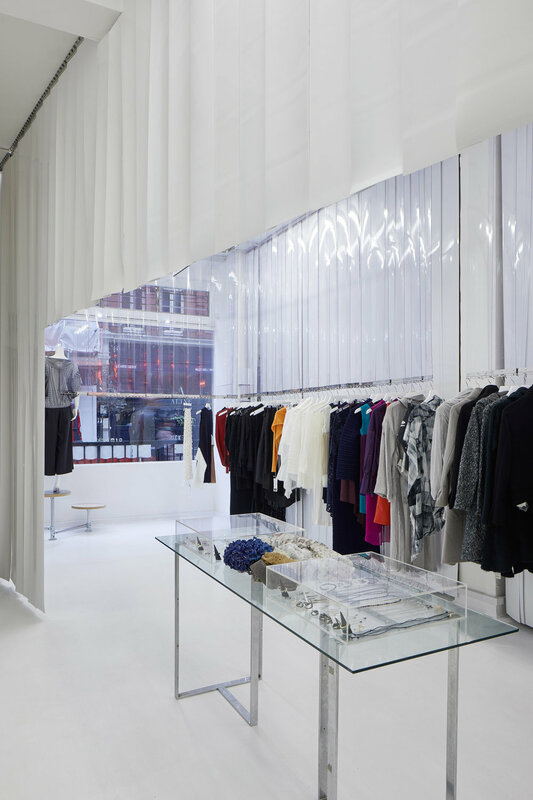 A Mayfair office space was adapted to a contemporary retail space for a Japanese clothing retailer. The architecture is entirely suspended, so no part touches the floor. Walls and clothes are treated similarly and hung using the same industrial curtain system. The white gloss strips provide a new colour base that masks the old office environment, offering a super-thin 3mm wall that softly moves in the air like clothing. The tapering walls exaggerate the perspective towards the bright red curtain and translucent changing area.